Devry's closest center is on the edge of Fort Worth and Irving, though they have campuses around the country. It is an urban area University with both male and female students and no religious affiliation. Devry's Online program has been ranked one of the best. Their amazing Business, Health Science, Media arts, Engineering, and Liberal Arts programs. They are the official Education Provider for Team USA in the Olympics. What are some of their majors?? what are some of their Bachelors degrees? How much money do they have for grants and loans? 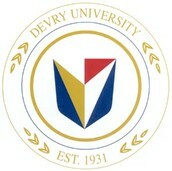 DeVry has 75 million dollars for grants and loans. The time to apply for this is earlier in the year. The earlier the better. How many people have/get jobs after collage? How do you get excepted?